A small stack of books is on display in our entertainment center, and all four feature turquoise-colored covers and spines. Throughout the room - and throughout the condo - I use turquoise as an accent color. It is a favorite of mine (behind my all-time favorite color - purple!) but it's also boy-friendly enough to gain Scott's approval. 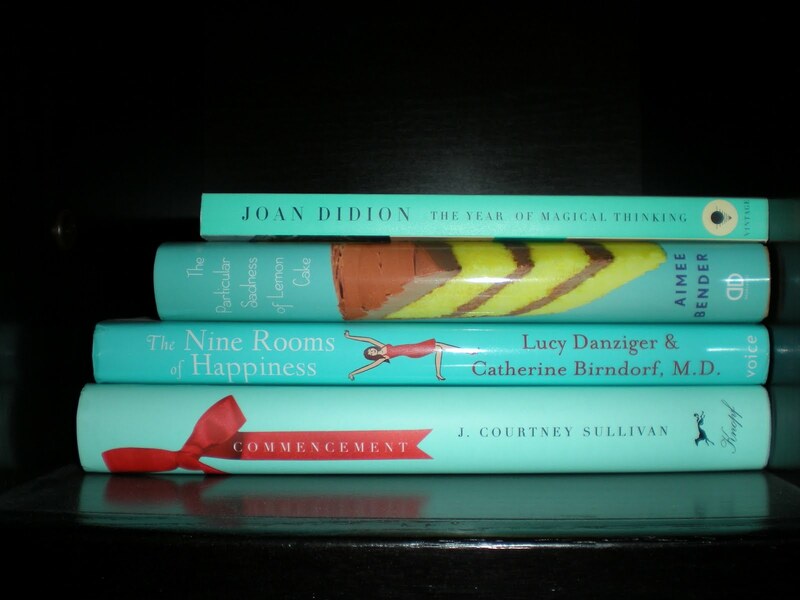 When I noticed how many turquoise books I had acquired and read in recent months, I pulled them off my bookshelves, assembled this stack and used it as a piece of decor. The color coordination also reminded me of this cute post at a spot of whimsy about arranging books by color. Despite the fact that all four books match in color, they are quite different in terms of content. One is a book related to self-improvement and happiness, another is a memoir, and two are works of fiction with very different characters, settings, and plots. I first heard about this book in Self magazine since Lucy Danziger is the editor-in-chief of the publication, and the magazine highlighted an excerpt. The book revolves around the idea that the areas of a woman's life are similar to rooms within a house. For example, the bathroom can stand as the area of a woman's life that relates to her self image and health. Even when all but one of our metaphorical rooms are neat and tidy, we as women often focus on that one messy room and let guilt get the best of us. 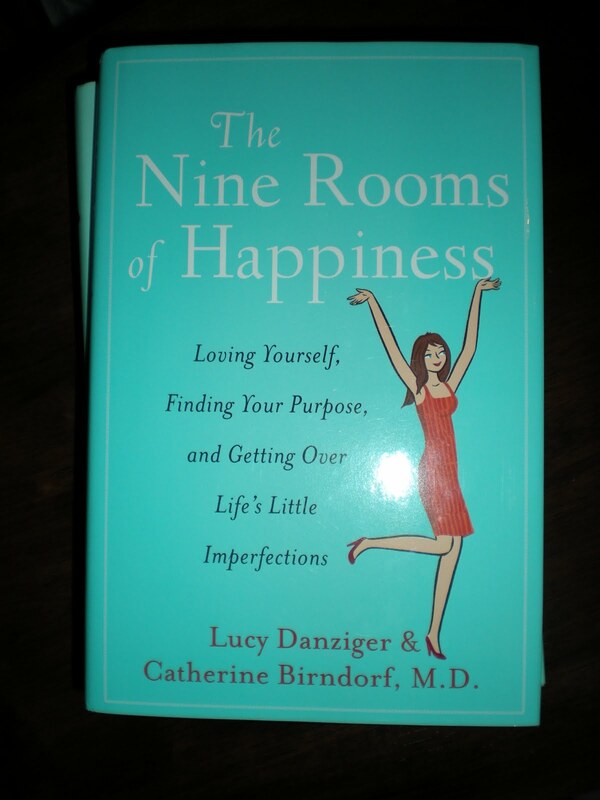 The book touches on each room - living room, kitchen, attic, basement, bedroom etc - and how we can "clean up" the room if needed, and in turn achieve greater happiness. Each section offers advice from Birndorf, a women's-health psychiatrist, as well as numerous case studies of women struggling with various issues, and provides ideas on how to restore peace of mind. I thought the house was an interesting metaphor, and many of the stories helped bring the rooms to life. Though it got a bit repetitive after a few sections, I found parts of the book inspiring and helpful. The advice can put things in perspective and reduce that overwhelmed, guilty feeling when something isn't going right. I randomly picked up this book at the bookstore, flipped through it, and decided to make the impulse purchase. 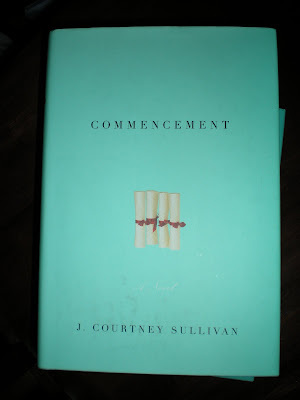 The story follows a group of four college girlfriends as they move into the post-college world. Each woman goes her own way as far as family, career, and home, but the characters cross paths and share their ups and downs. What appealed to me was the smart writing and the way the story made me think of my own friendships and life path. Though the characters and many of the events are not truly similar to my friends and my life, there were pieces that are realistic and relatable. At times, I was frustrated with the characters' decisions or thought the plot seemed a little extreme, but overall, it was an entertaining read and opened my mind to some unique ideas. This is a book I had wanted to read for awhile, and I finally did earlier this year. The memoir is poignant and moving, as Didion chronicles the year following her husband's death from a heart attack while her daughter battles a serious illness. 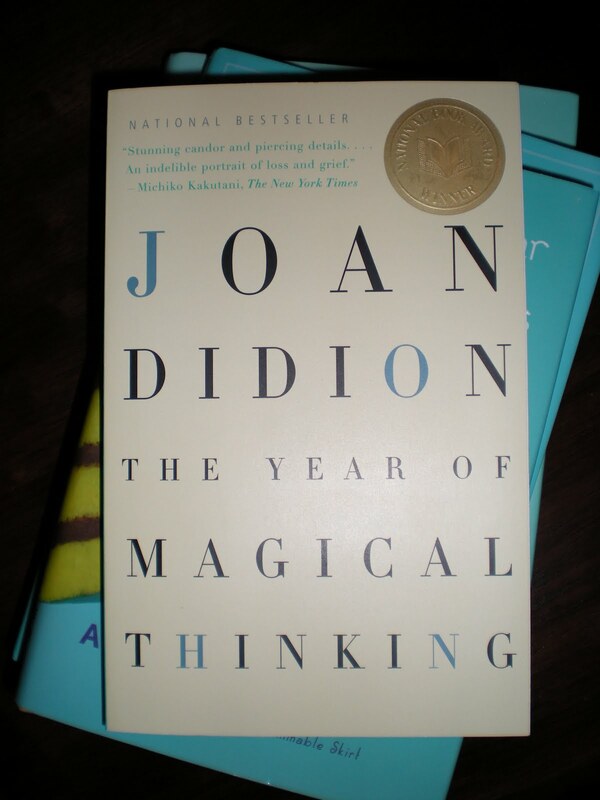 Themes of mourning, growth, and reflection abound as Didion writes about life, death, love, and marriage. The moments and details she includes all add up to a bigger picture of her family and marriage. I thought the writing was fabulous, and though the events of the "year of magical thinking" are incredibly sad at times, I wanted to keep reading to see how Didion dealt with everything. 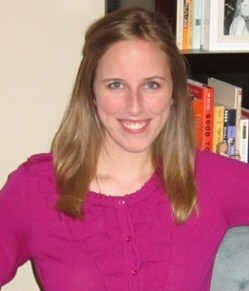 I almost felt like she was telling me her story in a conversation - and I listened intently. I came across this book in the little bookstore two doors down from our condo. I stopped in there after a long work day and immediately relaxed as I perused the new fiction titles. Since I try not to buy hardcovers too often, I ordered this book on Amazon right away. This novel tells the story of a young girl named Rose who can sense the emotions of people through the taste of food they create. 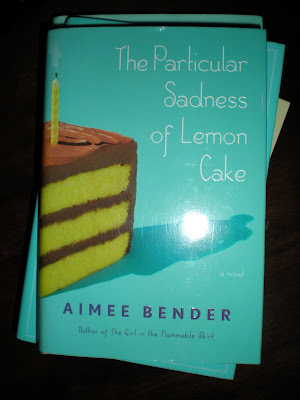 With one bite of the lemon cake her mother baked, she can feel what her mother feels. Much of the book, Rose explores her "gift" and discovers more about her family members and herself along the way. Obviously, magical realism comes into play here, so the reader has to suspend some disbelief, as well as not be thrown off by the lack of quotation marks around dialogue. I was not always sure where the story was going, but the characters and family relationships fascinated me enough to keep reading. just added the nine rooms of happiness to my "to read" list - sounds like it's totally in my wheelhouse! I will certainly add these to my reading list. Thanks for the insights. Love the color turquoise too!